Vehicle Repossession in Virginia | The Consumer Law Group, P.C. When is it legal to repossess a car in Virginia? Vehicle repossession laws in Virginia are fairly simple. If you fail to make a payment on your car loan, your vehicle can be repossessed by the lender or a third party authorized by the lender. However, you have rights during this process and there are steps you can take to prevent your car from being repossessed. If you know you are not going be able to make a payment on time, contact the creditor right away. If your creditor believes, based on your past history, that you will be able to make the payment by the date you give, they may work with you. You may even be able to negotiate a revised schedule of payments going forward that are more manageable for you. If you do manage to negotiate a change to your original loan contract, get the new agreement in writing to prevent problems later. It is always easier to try to prevent a seizure than to get your car back after it is already gone. If an agent does any of these things, his employer may be required to pay a penalty and the actions may become a legal defense for you later on. Before your repossessed car is resold, the creditor must notify you of the date and time of the sale to allow you time to make the required payments to get the car back. If the creditor sells your car for more than you owed on it, you may be entitled to a refund. If however, it is sold for less than what you owe, you may have to pay the difference. Once you have defaulted on a car loan and lost possession of your car, there may not be much you can do to get it back. 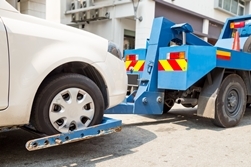 How Does Car Repossession Work?